14th Bn, Royal Warwickshire Regiment, 13th Brigade, 5th Division, B.E.F. Frederick James Couling was born in Malvern Link in 1882, the son of William Couling a porter for the Great Western Railway, and his wife Felecia. The family lived in Albert Park Villas, Albert Park Road. In 1900 Frederick was appointed by the General Post Office to be a postman between Malvern and Cradley. The following year he was became a town postman in Malvern. In 1908 his father William died and by by 1911 Frederick was working for the General Post Office in Birmingham as a postman and boarding at 22 Melrose Avenue, Woodfield Road, Balsall Heath with Mary and William Allen. In September of that year, Frederick’s mother, Felecia diad. 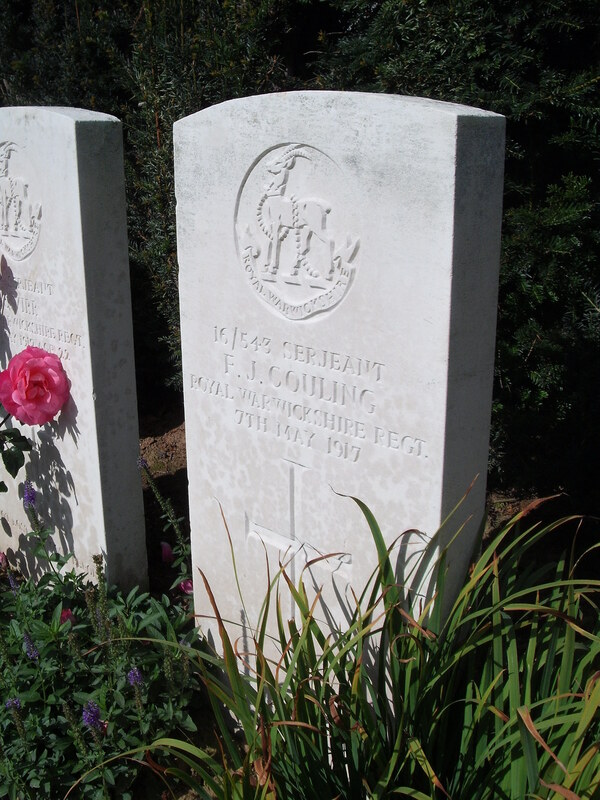 On the outbreak of war Frederick was still living in Birmingham as it was here that he enlisted in the 3rd City Battalion, later to become the 16th Royal Warwickshire Regiment. 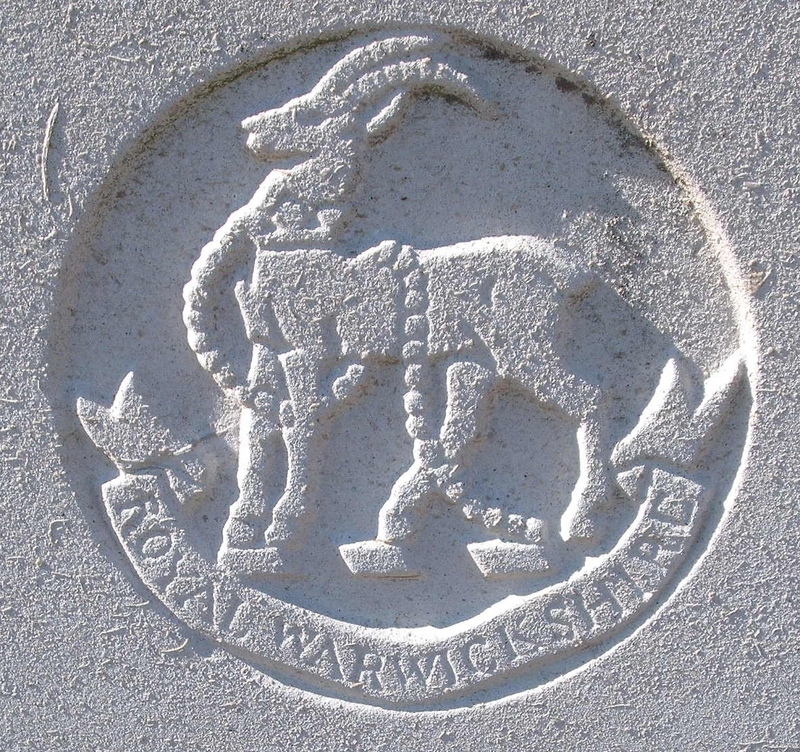 He landed in France with this unit on 21st November 1915 and subsequently served with the 14th (1st City of Birmingham) Bn, The Warwickshire Regiment. Sgt Couling was buried at Orchard Dump Cemetery, Arleux-en-Gohelle. In his will he left his money to Mary Allen of Balsall Heath who he had boarded with before the war. Mary Allen was by this time a widow. It is likely that, because both his parents had died and he was last living in Birmingham, Frederick Couling was commemorated only at Malvern Library and not at St Matthias, Malvern Link.